When the Chicago Recycling Coalition began, the city had no recycling and put its trash in local incinerators and landfills. Over the years, CRC has fought to provide Chicagoans more sustainable waste management and reclamation solutions. That fight continues, and it can be fueled with beer. 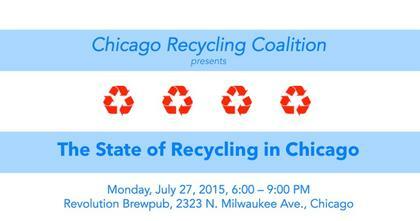 To celebrate its 25th anniversary, the Chicago Recycling Coalition is holding an event at Revolution Brewpub (2323 N. Milwaukee Avenue) Monday July 27 6-9pm. Have a beer and talk with CRC board members and guests about what’s improved in Chicago recycling, what CRC is fighting to improve, and what Chicagoans can do to get better recycling, yard waste, and composting services from the city in apartments, homes, schools, and workplaces. A lot is going on in Chicago regarding waste, and not all of it is good. Come to discuss Blue Cart, the plastic bag ban, the Burke-Hansen ordinance “requiring” multi-unit dwellings to offer residents recycling services, and much more. This entry was posted in events and tagged recycling, waste on July 16, 2015 by Carl Zimring. Chicago Waste, Recycling, and Sustainability Tour Saturday, July 18. 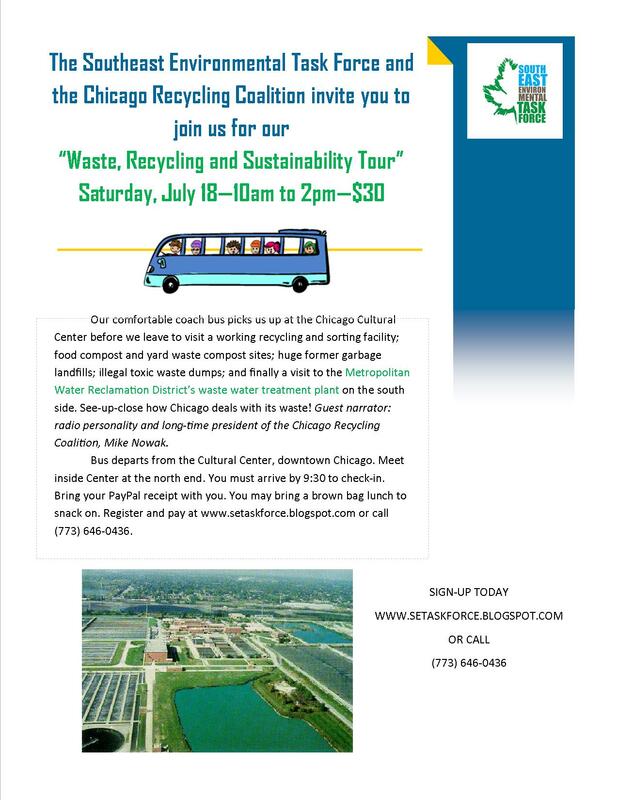 Putting on my hat as board member of the Chicago Recycling Coalition, I want to alert those in the Chicago area about a terrific, exciting, and educational tour the CRC and Southeast Environmental Task Force have put together for Saturday, July 18. To sign up for the tour, visit the Southeast Environmental Task Force website or call (773) 646-0436. This entry was posted in events and tagged recycling, waste on July 6, 2015 by Carl Zimring.